Tough Tiddlywinks is currently available for purchase in Vancouver at Pulp Fiction on Main Street, at Hager Books in Kerrisdale, the People’s Co-op Bookstore on Commercial Street, Book Warehouse on West Broadway, Dead Write Books on West 10th Avenue in Kerrisdale, 32 Books & Gallery in North Vancouver, and the Langara College bookstore on 49th Avenue. 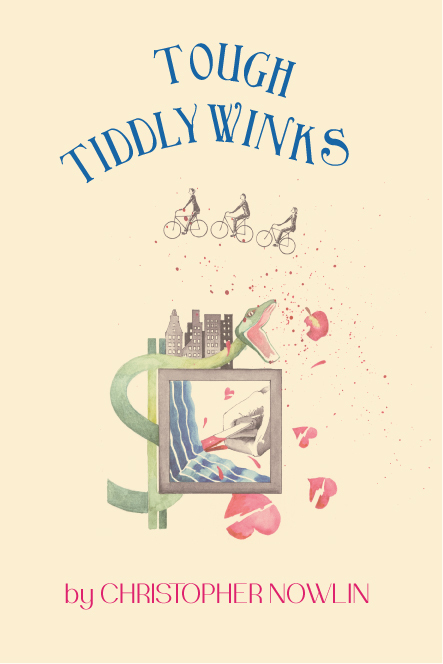 Tough Tiddlywinks is also available for purchase at Chapters bookstore in Lethbridge, Alberta, and at Pages Books in Calgary. It can also be purchased online, through sites such as Amazon and Barnes & Noble. Hardcover versions are available at some retail outlets and on line.